Is your sweet little toddler driving you crazy with abrupt, errant, destructive and conflicting behavior? Don’t worry! You are not just alone. In fact more than 80 percent of toddlers tend to reflect the conflicting behavior. So what is the reason behind the destructive behavior? 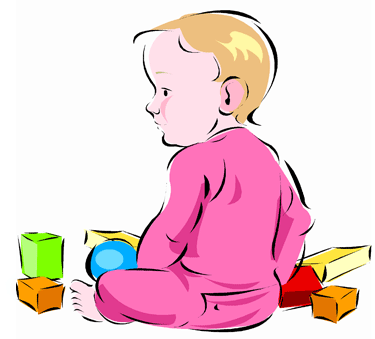 Generally, toddlers tend to watch everything keenly as they have the extraordinary absorbing and concentration power! Just like a teen who want to explore and discover everything, the toddlers, who are in the age group of 15 – 24 months, wanted to take control of everything! The rush and urgency they have, their desire to control everything, a sort of sudden overload they experience, lack of independence, frustration from lack of fluent communication, etc. many times make them inconvenient to handle themselves! It brings a sort of irritation and induces them to behave wrongly! What do they do when they behave wrongly! Any kind of irritating behavior has the hidden meaning that your toddler wants to convey something to you! Whatever they do, they have a reason! Of course, every baby born is same, and the way they brought up reflects in the later life! They want to learn something! Toddlers enter into a different world as a part of their development phase. They try to learn things quickly and seek attention and appreciation from the mothers. They want to prove themselves independent, intelligent to everyone. For instance, your 15 months old kid may bangs something on the floor or table, and repeats the action until your response! In fact, your kid doesn’t want to irritate you, rather want you to explain, whether her behavior is right or wrong! So, if you don’t respond, the toddler sets her or his own boundaries! So, you have a lot of work to do, which includes taking care of your little ones. If you leave your kid to play with toys alone, say when you are busy, they try to seek your attention when they are bored with playing toys! Simply, the break the toys and irritate you! Whenever your kid is hungry or tired, it will certainly express! In most cases, toddlers tend to cry loudly just because they want to sleep or they are hungry! So, next time when your toddler cries a lot and hit you, don’t panic! It is as simple that put your child to sleep or just feed the kid. As said earlier, toddlers need attention and appreciation. If they learn something new, they really need your appreciation. If you are not attentive to your kid, then be sure to receive some hits and bites! Besides, if they enter into the new phase of life, become a preschooler, which will make the kids live in a completely new environment, you cannot stop your child’s conflicting and irritating behavior. Moms, don’t get frustrated about the conflicting and irritability behavior of the toddlers. It is a part of their growth and many times, it implies that your child’s health is good! If you have a keen observation of their activities, you will understand the reason behind their irritating behavior. Maintain your temper and carry a cool attitude when you deal with your kid! Don’t scream at the kids or beat them up, which will be of no use! Make sure to reply to your kid immediately or respond quickly to every action of the toddler! If your child continuously cries for something, for instance, say an ice cream, just make the child concentrate on some other aspect.